In the final installment of a two-part series on the Los Angeles Kings first play-by-play announcer, Jiggs McDonald, who will fill in for the legendary Bob Miller on tonight’s Fox Sports West telecast when the Kings skate at the BB&T Center against the Florida Panthers, McDonald shared his thoughts on how hockey has changed since 1967, and more on what it was like to work for the Kings first owner Jack Kent Cooke. He also talked about his career after leaving the Kings, and about filling in for Miller. LOS ANGELES — More than fifty years after he broadcast the first Los Angeles Kings game, Hockey Hall of Fame play-by-play announcer John Kenneth “Jiggs” McDonald will call one more when the Kings skate into the BB&T Center on February 9 to face the Florida Panthers, filling in for another Hall of Famer, the legendary Bob Miller, who is working a reduced schedule this year after undergoing quadruple bypass surgery last season and more recently, suffering a mild stroke during the 2017 NHL All-Star weekend. 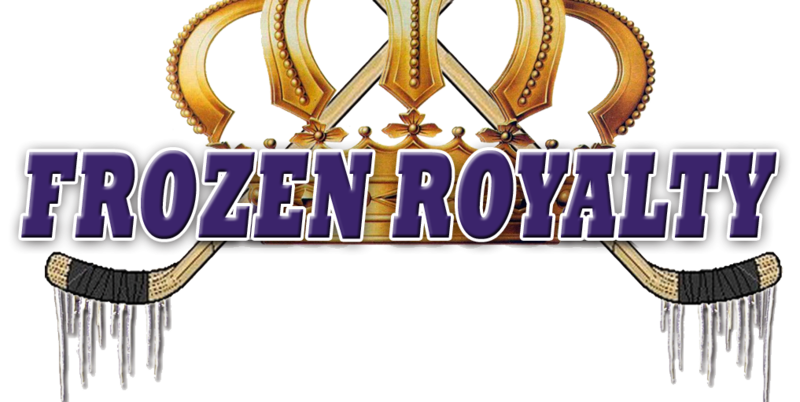 During the Kings celebration of their 50th Anniversary last October, McDonald spoke exclusively with Frozen Royalty about his time with the Kings, which you can read in part 1 of this series. In the second and final segment, he also shared his thoughts about how things have changed in the National Hockey League over the last 50 years, about his career after he left Los Angeles, and about returning to the Kings broadcast booth for one more game. To be sure, hockey has changed rather dramatically over the years, and, as one would reasonably expect, over the course of fifty years, there has been a great deal of change in every aspect of the game, both on the ice and off. McDonald lamented the fact that a lot of the changes have made the jobs that broadcasters do, not to mention other members of the media, a lot more difficult. “If I wanted to talk to a player today, I’d have to go through [the team’s media/public relations department] in order to make sure I had the go-ahead to talk to that individual,” he added. Indeed, much has changed in the NHL and the Kings are no exception. The game itself is also dramatically different. As reported in part 1 of this series, after five years broadcasting Kings games, McDonald worked behind the mic for the Atlanta Flames, Toronto Maple Leafs, and the Florida Panthers. He also worked three Olympic Winter Games and for Sports Channel America. He also did play-by-play for Major League Baseball’s New York Mets. But he is best known for his 13 seasons doing play-by-play for the New York Islanders, who won three Stanley Cup Championships with McDonald behind the mic. McDonald recalled getting the job with the Kings. While he was thrilled to be hired by Cooke, McDonald was not so thrilled with the way he was treated by him. McDonald decided that he had to stand up for himself. The next stop for McDonald was the Atlanta Flames (now the Calgary Flames). After 37 years behind the mic, McDonald retired…sort of. Indeed, McDonald isn’t quite retired just yet. Not with one more game to broadcast tonight, anyway, and even he alluded to the fact that he might not be able to resist if another team comes calling sometime down the road. Speaking of that game, McDonald said that the Kings contacted him about filling in for Miller a few weeks before the season started. McDonald emphasized that he is honored to have been asked to broadcast a Kings game again. But he also pointed out that it is much more than an honor. It’s a real job. LEAD PHOTO: The Los Angeles Kings first play-by-play announcer, Jiggs McDonald. Photo: Andrew D. Bernstein. Courtesy Los Angeles Kings/NHL. I’d gotten home late tonight and had no idea Jiggs was doing tonight’s game. When I turned on the TV and heard the play-by-play, I couldn’t believe my ears. Where did the Kings find this guy, he makes the game real, alive and I can actually see the game without watching it. I was transported back 50 years to when, as a kid, Jiggs mesmerized me on the fly with his announcing. What a treat to get to listen to him again. Too bad we don’t have any cowboys, or mini’s, or jets, or Frenchy’s playing for us now but at least we had Jiggs, if just for this game, this season. Thank you Kings for being totally classy this season. Hope you read part 1 of the series, too!